One hundred eighty years after our country’s first secession crisis, we hear the word secede again. South Carolina threatened to secede around 1830, and thirty years later it followed through. Google the right words today and you find authors who believe the United States will break up before long, and others who would like it to. 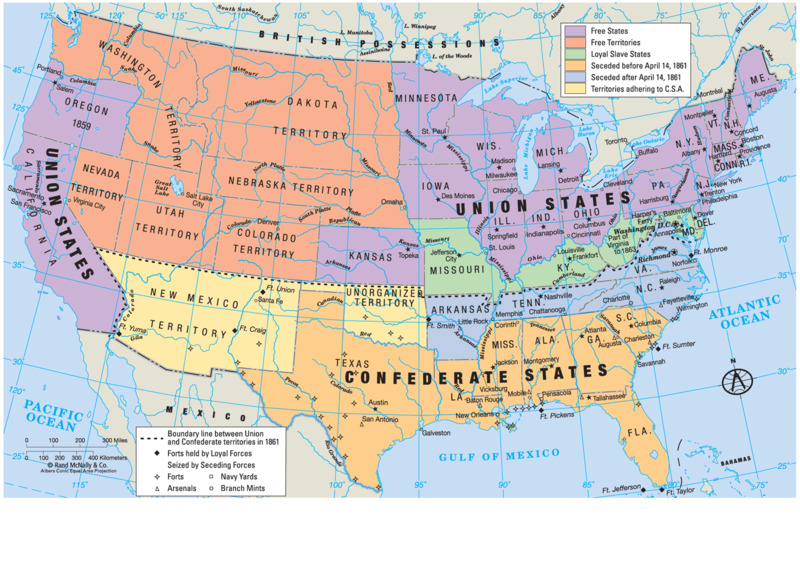 Almost half the states in the union have some movement directed toward secession. We know just one thing for sure: some day the United States won’t exist in its current form. We know from history that civilizations and empires age and die slowly, and that certain factors such as defeat in war and bankruptcy accelerate the process. We know that no political structure in nearly three millennia has ever been permanent. The only thing we do not know is when, or how, the United States will pass from the stage. Is the idea of secession abroad because people actually want that, or does the idea substitute for some intense or vague dissatisfaction that has no other name? Let’s say some countable number of people want secession, or the right to secede, and they know why they want it. Let’s say further that they are willing to act on that desire. What are the implications for national politics? The process of dissolution is already well underway. A democratic republic in its prime does not start wars it cannot win with phantom enemies. It does not torture and imprison suspects because it believes that is necessary to keep itself safe. First we want to ask, what could make people’s alienation from the national government so severe? We’ve seen protests across the country to coincide with April 15, Tax Day. The demonstrators called them Tea Parties, to commemorate the Boston Tea Party on December 16, 1773. Less than eighteen months later, the first Revolutionary War battles took place in Lexington and Concord. No one throwing the tea overboard in Boston harbor likely thought about a long war starting just a year and a half later. Now the governor of Texas, Rick Perry, talks about secession 150 years after Texas seceded from the union the first time. Could it happen again? Yes it could, because the United States is already dead. It died when assassination, aggressive war, false imprisonment, and torture became acceptable ways to achieve political ends. The United States is like a dying plant: the roots don’t bring water to the leaves anymore. When the roots wind around in a circle, they don’t reach out into the surrounding soil, and the plant strangles itself. Eventually the whole living system becomes brittle and returns to the dirt, the natural result of ossification that’s apparent to anyone who knows what to look for. The rot in our republic becomes too apparent to overlook. Recently the government made Jay Bybee’s torture memo public. The president’s Justice Department commissioned that memo. When you understand the purpose of Bybee’s memo, you understand that something happened during the eight years of Bush’s rule that ended our republic. People aren’t aware of the change yet. A hundred years from now we’ll see that 9/11, and our response to it, ended our democratic experiment. The signs of this momentous change lie strewn through Bybee’s fifty-page memo. We can’t see all the signs so clearly at the moment – they’ll be more obvious to descendants who learn about this period years from now. Will anyone grieve or care when the United States passes from the scene? Will its enemies rejoice? Will its passing signify a rebirth of freedom, our Constitution reborn in its offspring? Or will its passing signify more decline, degradation, and disorientation – another step or series of steps in freedom’s descent? We should mourn when our union breaks apart, whether or not we welcome its passing. We know nothing lasts forever, that its passing will happen some day. States evolve over their lifespan. They grow and reach the height of their power in middle age, then become more sclerotic as they grow older. Eventually younger nations rise to replace them, through war or other kinds of competition. Why, one has to ask, has our republic’s life entered its latter stages so ignominiously after such genuine heroism and generosity? In all our yearning for change, the aim of freedom for all individuals remains constant. It’s the air that our republic must breathe. You can’t see air, but you can feel it, smell it, hear it, taste it. Freedom’s the same way, but we’re learning now how it feels when the air goes stale. We’re learning how it feels when people and governments cease to mind their own business. That’s when the air we breathe becomes oppressive and even deadly. That’s when helpful public servants become meddlesome and threatening public authorities. That’s when you feel uneasy in the presence of governmental authority – not secure, but uneasy. We know how fresh air feels in our lungs. We need its life-giving energy, the drive we must have to act on our own behalf. Freedom and hope impart that kind of energy, to each individual and to the entire social organism. Freedom and hope don’t run so strongly in our aged republic at the moment. That’s why we hear talk of secession and revolt – ideas to recreate our republic, to refresh freedom for people who need freedom’s hope. In publication since 2009, The Jeffersonian occasionally publishes topical collections of essays on politics, such as Revolution on the Ground and Infamy. To learn about these and other books, visit Dr. G’s Writing Workshop.